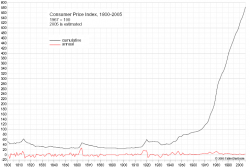 The 2010 federal budget in trillions of dollars. The average midterm voter turnout percentage. The approximate dollar value of your biennial midterm vote. Check the Projects page for an update on Soule Mobile and insights on the mobile industry. It boggles my mind how the interconnectedness of today's world is expanding scalability exponentially. Novel industries have historically required global capital for global influence; in this day, an intangible software program can be distributed globally in only a few months. Though the reptilian brain still favors physical strength, the most powerful people on earth are surely mild mannered thinkers. Take a moment to fully appreciate your potential. 2. Greedy, over leveraged wall street investments. 3. Defacto government backing of risky mortgages. Which means that if you lend your friend $1.00, he may agree to pay you $1.05 in a year. 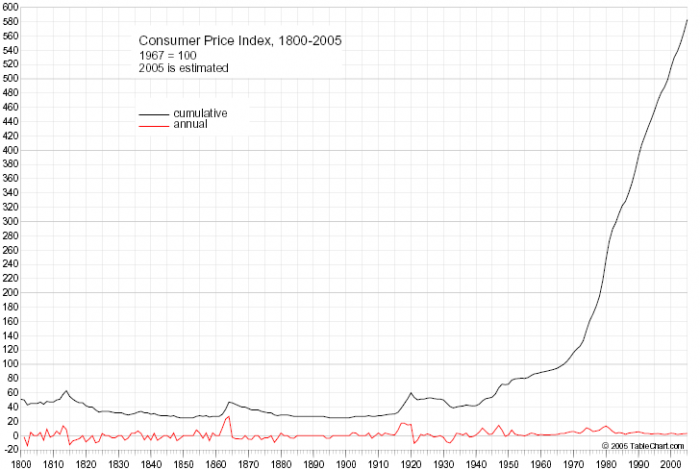 If the value of the dollar falls 5% due to inflation, then that $1.05 will buy less stuff now than your $1.00 could have bought one year ago. Essentially, you paid him a quarter of a cent to borrow your dollar for a year. 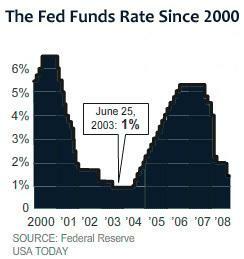 That is what real interest rate measures. Where was all of this money going? Business media can distort the realities of commerce. The true metric of success may be more obvious than you realize. Check out this Trizle article on the topic. Living as a frugal college student makes you appreciate even a basic income. After you have one, it is easy to forget what you appreciate about having money. Here is a list of little things that I wish I could always afford so I can look back at this list after graduation and be reminded of why I worked so hard. If I could afford it, I would do a combination of these activities every hour of every day. 1. Hanging out with friends constantly - In high school, I was fortunate to be able to be around my friends whenever I wasn't at school. I was part of an engaging conversation almost constantly. 2. Expeditions - One summer I drove to Canada with some friends after discussing it the night before at dinner. Road trips, camping trips, beach trips, hunting trips, lake houses - Lift isn't complete without a sense of adventure. 3. Music - Being in a band is intellectually stimulating as well as fun. After graduation, I will definitely be playing with a group on a regular basis. 4. Sharing Meals - Why would you ever eat a meal alone? 5. Entertaining - I look forward to having an "open fridge policy", by letting guests feel at home by eating whatever is in the fridge. If you are lucky enough to already have an income, go out and enjoy it. Most of these activities don't cost very much, and you can manage little expenses such as gas. So next time you find yourself in front of the TV, throw the remote behind the couch and get out of the house. "An active mind cannot exist in an inactive body." During my sophomore year in college, I got a call at two in the morning. It was my friend Quattro. “Brian, can you come pick me up from the hospital?” “Sure” I said, “I’ll be right there” As I got dressed, I wondered what had happened. It turns out that he had been hit by a drunk driver. His truck was totaled but he was okay. Incidents like that make you think about why we have friends. Are they there for your own recreation? Or do they serve a greater purpose? I know at least a hundred people that would gladly help out if something happened to me. These people know that in a heartbeat I would do the same for them. A community of genuinely loyal people is the greatest asset one can possess. Not only does our community shield us from uncertainty, but without it we couldn’t be successful in life. A. Save money by performing all of your own physical labor, equipment leasing, accounting, marketing, and taxes? Or B. Commission experts as your company grows? If you would like to be anything more than a helpful neighbor, the choice is clear. Becoming a financially successful contractor requires strong relationships with experts like subcontractors, accountants, and laborers. In the book good to great; great companies are proven to focus on one thing and improve on it, year after year. These are the companies that are successful for decades on end. This principle applies to individuals as well. Organizations become successful when their members focus on being the best at one thing and then share that contribution with the group. Trying to do everything at once is like trying to boil the ocean, it's simply impossible. When applied to our personal lives, the principles of loyalty and focus enable what we can never achieve alone. While less than 15% of college students join fraternities, the vast majority of presidents in the last century have been in them. While the social fraternity may not be for everyone, we can all learn from their successes. I was at a gathering on Saturday night; two guys from a band were visiting and talking with a few of the brothers. They were from El Paso and had been in town for a few days promoting their music. "We're in Austin promoting our band" Stated the Bassist. "We've been playing shows and we're looking to make it big". "Talk to Eric, he works with KVRX." (an Austin radio station) One of the fraternity guys replied. That casual statement opened the door that took the band to the next level. Utilizing Eric’s experience in communications allowed the band to focus on what they do best, writing great music. Your community could be a church, a non-profit, a sports league, a sewing circle, whatever you are interested in. The stronger the bonding experience, the better. 1. Become extremely good at one thing and share it with your community. In this world, you get what you give. The more loyal you are to your community, and the better you get at that one thing, the more successful you will be. How is it possible to tell what the population is thinking at a given point in time? By using a free service called Google Trends. Trends measures how often people search for a given word or phrase. Here is a graph of the searches for "Wikipedia". Interest rose gradually until summer 2005 when growth started accelerating. The site achieved preeminence in 2007 and 2008. 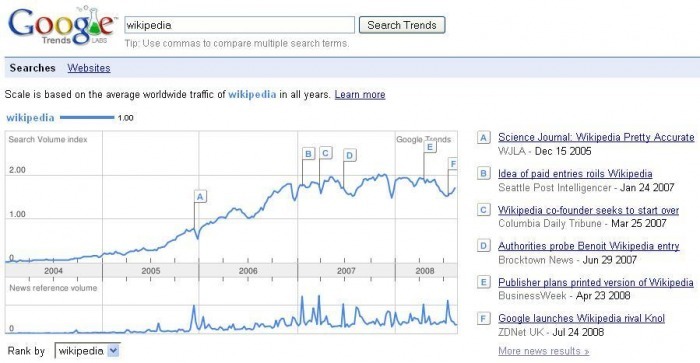 Searches drop off during the holidays, suggesting that Wikipedia tends to be used during work. 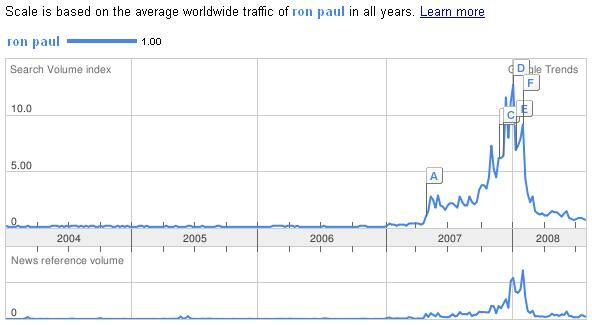 Here are the queries for "Ron Paul". The drop in searches after the primary show that he may be having difficulty converting his campaign inertia to long term momentum. Google Trends delivers what was nearly impossible almost five years ago, a precise time line of the interests of people all over the world. That was how long it took for my computer to fail. I was knee deep in a new version of my business plan and now all I could do was watch my PC as it restarted itself over and over. Not only was my computer broken, but I could no longer access my work. If I reformatted, all of my data would be lost. Three weeks worth of research was now stuck in some algorithmic black hole, I could only hope that it wasn't lost forever. The only solution was to cross my fingers, pay 35 bucks and take it to a computer repair store. Four days later I had a broken computer, and a burned CD with my multi-million dollar business plan on it, hanging on for dear life. Almost 100% of patients who successfully beat cancer report the experience as having a positive impact on their life. Though not as serious, nearly losing all of my work got me seriously thinking about improving my relationship with my computer. Looking for a solution, I started thinking about computer terminals at the library, or at school. Every time someone sits down, the computer is as good as new. It restores itself to normal and runs quickly, like the first day it was used. If library users could enjoy this "New Computer Smell" year round, why couldn't I? After asking around for a few days, I discovered a program called Deep Freeze. The program works by restoring windows to the same state, every time it is restarted. Like getting to use a brand new computer every day. I also discovered that by creating a "partition" on your hard drive, you can virtually create two separate hard drives. By "Freezing" the one that windows is on and keeping the other one "Thawed", you can now save your data while making sure that windows works as well as it did the first day you bought it. I reformatted (or erased) my hard drive, reinstalled windows, and installed deep freeze. That was more than a year ago. Since that day I have never had a single computer problem. 2. Stick in your Windows CD and start a normal reinstall. 3. Setup will ask you where you want to install, it will give you the option to create a partition. It looks like this. Create a smaller partition and install windows on it. (20 GB) Format the remaining space as the D: drive. 4. After installing, configure windows how you like it and move My Documents to your second hard drive. 5. Download and install Deep Freeze. (A free trial can be downloaded here) Set it to freeze your C: drive, keep your D: drive thawed. To install a new program, simply use deep freeze to "thaw" your computer, Make your changes, and then restart back into a frozen state. Your computer is now bulletproof. You can open your Windows folder and delete system files, change all of your settings, or download viruses; once you hit restart your system it will operate as well as it did the day you bought it.